In February, a Texas jury unanimously exonerated Michelin North America, Inc. in a product liability lawsuit involving the alleged failure of a BF Goodrich “Rugged Trail T/A” tire. This marks the third product liability claim that Michelin has successfully defended within the last three years. The lawsuit was filed in 2014 in the 43rd District Court of Parker County (Texas), and alleged that the tire contained a design and manufacturing defect. However, Michelin was ultimately successful in demonstrating that the tire in question had more than 80,000 miles of wear and impact damage prior to the accident in question. The individuals injured in the case alleged that the tire was negligently or defectively designed and/or manufactured, resulting in the tire’s failure and the subsequent accident. They also asserted claims for gross negligence (punitive damages), negligent/defective marketing, and post-sale duty to warn. In cases like these, the plaintiffs who bring the claim bear the burden of proof at trial (i.e. in presenting evidence of the identified essential elements of a clam). If they fail to present this evidence, the defendant company can file a no-evidence summary judgment on the claims. When it comes to cases like these, it is of paramount importance to demonstrate whether or the tire in question exceeded the federal minimum tread remaining on the tire at the time of the accident. In this case, there was three times the minimum on the tire at the time of the accident. The defense will also typically challenge the qualifications and reliability of any forensic tire analysts retained by plaintiffs. Michelin was also able to successfully defeat the causation element of the plaintiffs’ marketing defect claim. Specifically, the company successfully asserted that, in this case, any proposed warnings would not and could not have been read because there was evidence that the plaintiffs did not read English (as well as evidence that they did not read any writing on the sidewall of the tires), and they would not be able to understand any warnings regarding the tire even if they had tried because they understood very little English in general. 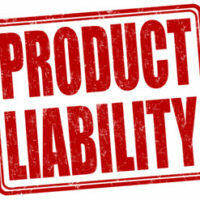 In order to prevail on a marketing defect claim, the plaintiff must establish that the alleged failure to warn and/or instruct must constitute a causative nexus in the product user’s injury. Plaintiffs are often aided by a rebuttable presumption that proper warnings would have been headed; however, there is no presumption that plaintiffs would have heeded a better warning if they failed to read the warning that was already provided (which, if followed, would have prevented the injuries in question). Product liability lawsuits brought in Texas increase every year. At Colvin, Saenz, Rodriguez, & Kennamer L.L.P., we have been defending companies like Michelin in products liability lawsuits for decades. We are proud to represent automobile and component parts manufacturers and distributors. Contact one of our Brownsville automotive products liability defense attorneys today to find out more about our services.